This book [ISBN 1-889526-08-8] is 86 pages in length, 8-1/2 x 11″ format with medium print. 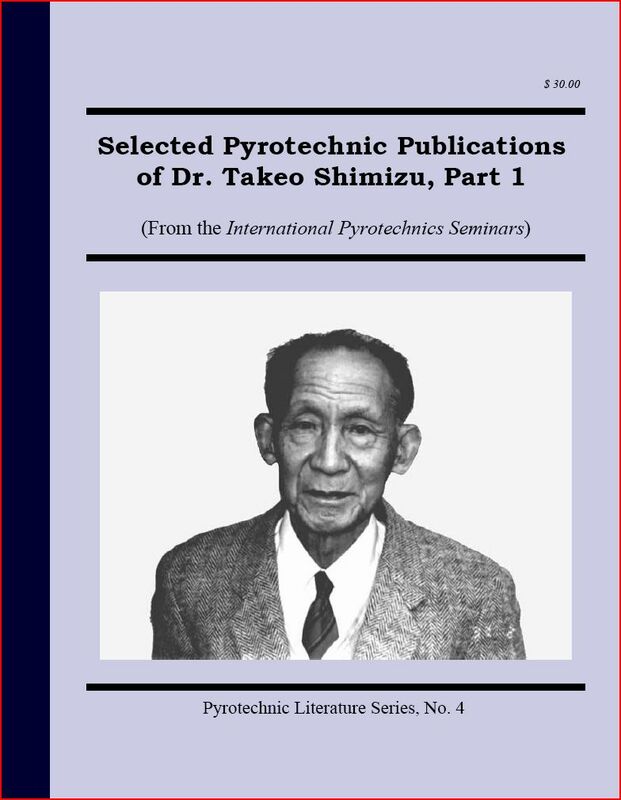 The articles, which originally appeared in the various Proceedings of the International Pyrotechnics Seminars, have been reformatted into Journal of Pyrotechnics style. Many of the figures have been improved. Hopefully, the scientific information presented in these papers will prove to be useful to the reader. Excerpt of a review by Larry Homan. Proceedings of the 10th International Pyrotechnic Seminar, July 1985. Proceedings of the 16th International Pyrotechnic Seminar, June 1991. Proceedings of the 19th International Pyrotechnics Seminar, Feb. 1994.